Delicate soda straws and unusually beautiful formations never exposed to outside air are highlights of the Hidden Passages Tour at Natural Bridge Caverns near New Braunfels and San Antonio, Texas. 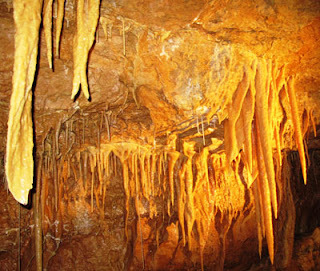 Accessed by 180 steps with several landings at scenic points, this second cave is dramatically lit to maximize presentation of several glistening formations. For sheer beauty, take the 70-minute Hidden Passages Tour and see some of the most spectacular underground scenery anywhere in the U.S. 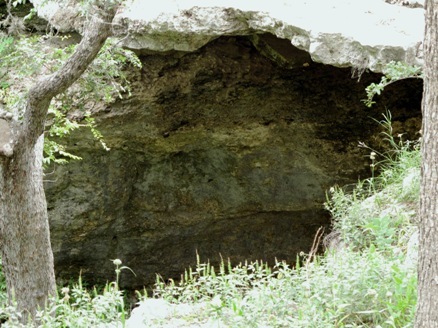 These additional passages were left undeveloped for nearly two decades during which time the Wuest family, owners of the ranch on which the caverns are located, developed and opened the main cave for others to enjoy. In 1960 four college students requested permission to explore the area around a 60-foot natural limestone bridge and a large sinkhole. As suspected, they found huge underground passages that led to additional rooms and openings. In all, they explored two miles before returning to the surface to share their discovery with the landowners. 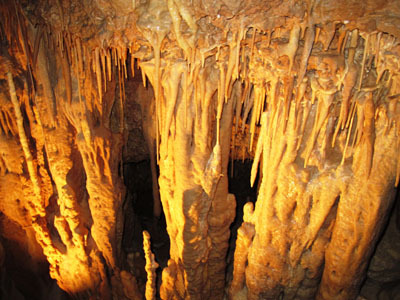 Natural Bridge Caverns, billed as Texas’ Largest Underground Adventure, has been attracting visitors since it opened to the public in the mid-1960s. This natural bridge protects the opening to the original cavern discovery. The guided Discovery Tour takes visitors along the path taken by the first explorers through Sherwood Forest, Castle of the White Giants, and Hall of the Mountain King, a room the size of a football field. For 75 minutes you can view gigantic stone monuments in beautiful chambers 170 feet underground. If you’re really adventurous, check out the three-hour “wild cave” tour where you negotiate obstacles through mud or on your tummy and climb up a 25-foot mid-covered slope. 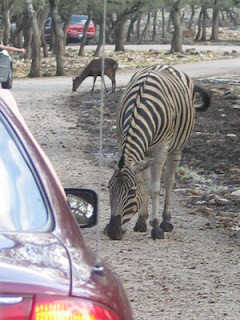 Plan to hang around all day so your family can enjoy other attractions at the site. Travis Wuest, whose grandmother was the original entrepreneur, continues to create activities on the property, all geared toward helping families learn to appreciate the geology of the area and the natural beauty found there. For example, Canopy Challenge Adventure Course and Zip Lines opened in July 2012. 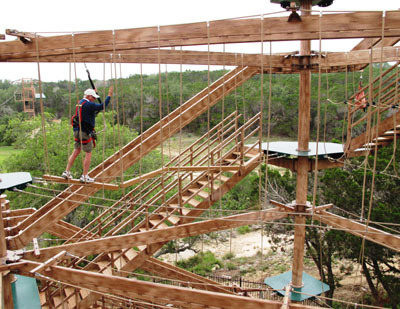 Big kids and adults navigate a winding maze of 47 bridges, obstacles and balance beams while tethered to a cable for safety as they climb up the 60-foot four-tier adventure course. Little kids get a similar experience at a scaled-down Canopy Kids course. Although it takes place high in the air, the experience is not unlike cavern discovery, which also required agility and a bit of daring. four zip lines give guests spectacular views of Texas Hill Country landscape while they soar along cables more than 1400 feet in the air. Guests of all ages also enjoy searching for treasures at the Mining Company, where bags containing sand and dirt as well as actual gems and minerals, are available for guests to pan. Bags containing arrowheads and fossils are also available—a fun way to teach kids history and a bit of anthropology. Picnic facilities, café, and gift shop are also available on premises. Wuest, who grew up on the family ranch and has been around the caves all his life, says he and his brother are finishing the legacy begun by his grandmother and father. Because of his personal ties to Natural Bridge Caverns, keeping it a family destination and learning experience is a priority. If you have time after exploring the caves, stop by Natural Bridge Wildlife Ranch, adjacent to the Caverns and owned by Wuest’s aunt, where twin reticulated giraffes, the only living set of twins born in the United States, were delivered in May 2013.